Also, while the brand name is correctly accented below the “DELICIOSO” ribbon (I know, hard to see here), the words “fábrica” and “café” are not. When a Spanish word is capitalized, Spanish speakers often do not use written accents where they would normally be required. 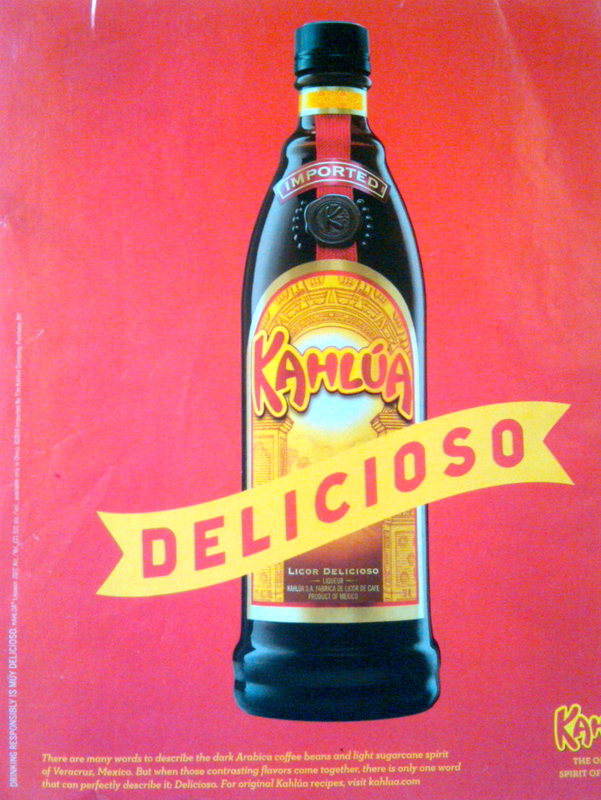 However, since KAHLÚA is all caps, I would expect to see FÁBRICA and CAFÉ. Bad Spanish or Spanglish, at least it’s not affecting deliciousness.